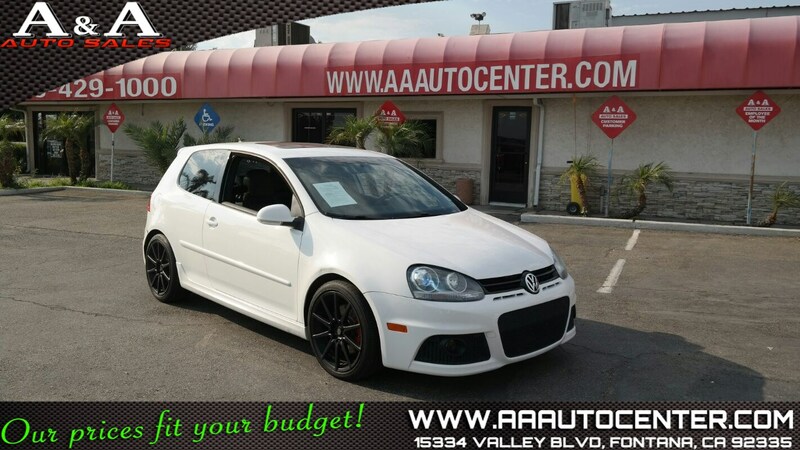 Our 2009 Volkswagen Golf GTI Hatchback in White greats you with anticipation. Under the hood of this Volkswagen is a powerful Turbo 2.0 Liter 4 Cylinder that offers 200hp on demand and an impressive 31mpg proving that fun doesn't have to cost you at the pump. This Front Wheel Drive power is harnessed with a fun to drive Automatic transmission. You'll love the smooth shifting, sure footed stance that this Golf GTI has to offer. Open the door and surround yourself by top notch materials that are often compared to luxury brands costing double. Nice cloth with heated front seats and all the logical amenities make for exciting ownership. A leather wrapped multi-function wheel, climate control, along with a premium audio system with an audio jack make this GTI the one to have. Safety features on this machine are amazing. Six airbags, ABS w/Electronic Stability Control and 17" wheels help prevent over-steer or under-steer during panic moves. It's time in life for and early reward. Life is short, smile a little more. Print this page and call us Now... We Know You Will Enjoy Your Test Drive Towards Ownership!